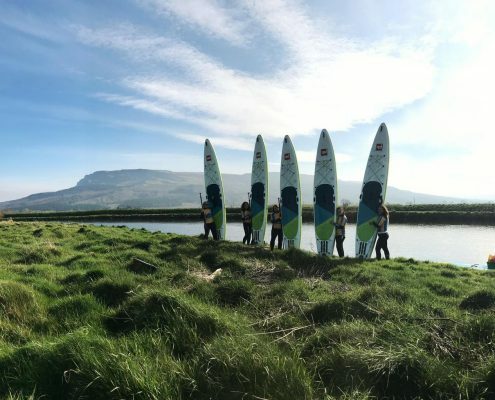 With the release of our adventure SUP Hire Northern Ireland Package, we have decided to give some top tips for planning a sup adventure. At Long Line we have seen Stand Up Paddleboarding grow immensely in the past 7 years. Stand Up Paddleboarding allows people to see places from a different angle and be active in an enjoyable environment where you set the pace. This SUP Adventure Guide will help you create an experience where you will feel a sense of achievement and help build confidence in your skills and techniques. 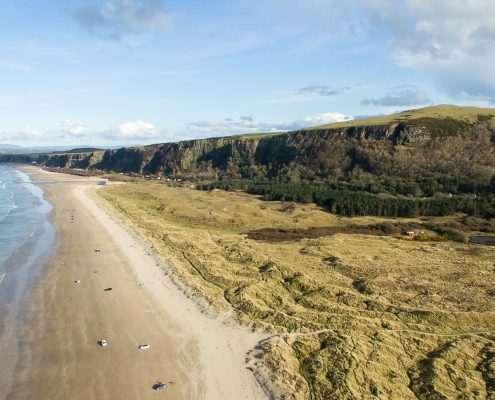 In Northern Ireland we are blessed with an amazing stretch of coastline with long sandy beaches and rocky coastline. As well as coastline we have a wide range of rivers, lakes and loughs to explore. There are many canoe trails in exposed and enclosed waters throughout Northern Ireland. Why not take a look at Canoe NI Trails for some inspiration. It is always important to do your research before your trip whether it is a half day exploration or 15km expedition. There is so many places in Northern Ireland where you can find an area of water and explore. Google Maps will help with general locations but make sure to check for hazards. When creating an adventure, many people will look for the Instagram shot these days but make sure you know your limits and don’t put yourself at risk. This adventure should be enjoyable at all times. It is about exploration. Choose a location that suits your entire group. There many enclosed water ways to get started which will help build up confidence and allow you to practice skills and help decide what is a comfortable distance to paddle. When heading on your adventure you will be provided with high quality equipment from Long Line Surf School. We have decided on the 13’2” Voyager.If you’re looking for that ultimate inflatable paddle board to embark on an epic adventure, then the Voyager is for you. That said, they’re not exclusively reserved for gnarly, veteran pioneers but for anyone looking to explore somewhere new and exciting. No matter what, if you have a desire to explore than you’re an adventurer in our eyes and you need a board you can trust to take you there. 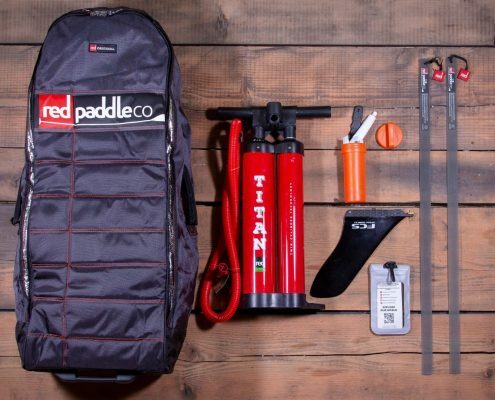 As well as your main equipment you will also need to consider other essentials when heading out on any adventure. The Voyager has cargo sections at the front and back so make sure you pack a dry bag which will allow you to bring a mobile phone and camera. Staying hydrated is important to always bring a bottle of water / coffee kit and possible a picnic. Understanding the weather conditions before you go is essential for any SUP trip and this will help you prepare for every eventuality. The more research you do prior to the trip the more confident you will be with the conditions on arrival. Be prepared and know what to do during strong winds especially when out in open water. Ultimately, the best way is to start small and build up gradually as your confidence and experience grows. 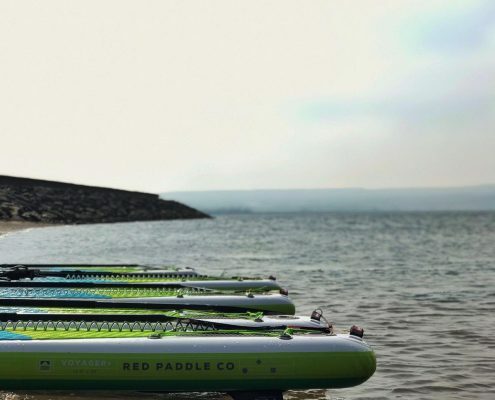 If you love the ocean, love exploring and love being in the great outdoors then a SUP adventure is the ultimate way to escape and embrace life to the full! Need to hire the essentials?